A collaborative revolution has been brewing for well over a decade. It began with surging traffic on the Internet and the overwhelming embrace of message boards, wikis, newsfeeds and email but has since expanded to include even more collaboration-focused enablers such as mobile and broadband, as well as applications such as business-oriented social media and video-conferencing. 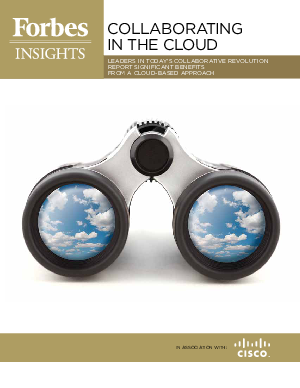 Today the revolution is reaching fever pitch, as a comparatively new crop of cloud-delivered,collaboration-focused strategies and applications is achieving broader adoption and delivering remarkable results.